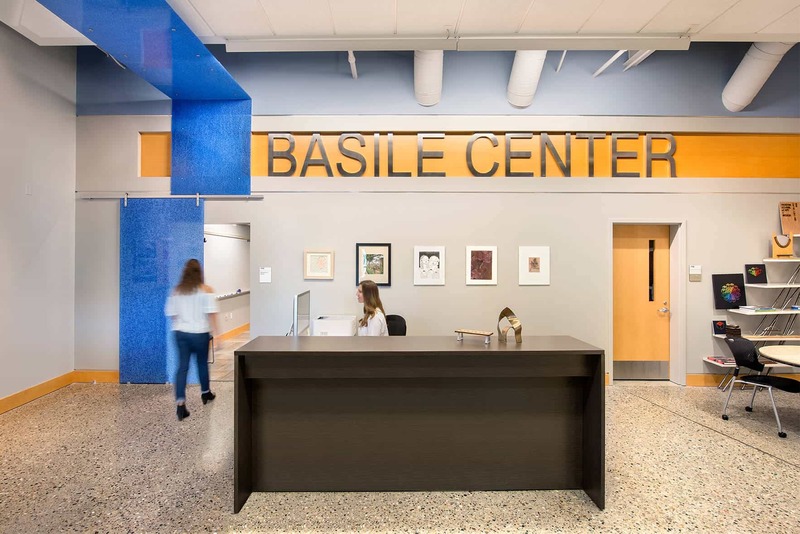 The Herron School of Art, Basile Center was renovated to create a fresh environment for gathering and collaborating. The renovation addressed lighting, display areas, and materiality, which created better access to adjacent offices, technology and classroom environments. 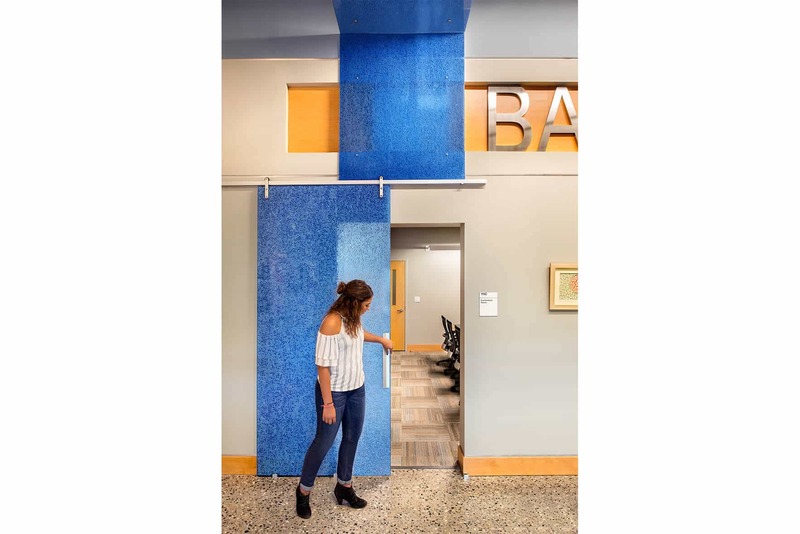 A custom, blue ribbon doubles as a semi-transparent door and whimsical focal point within the Center creating a strong identity for the space.